Can't wait until mine arrives! Ha! This new beauty flies approximately 700 miles an hour and can travel a distance of 8,000 miles. 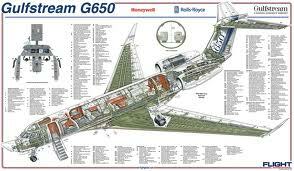 I want to be a stewardess on one of these. 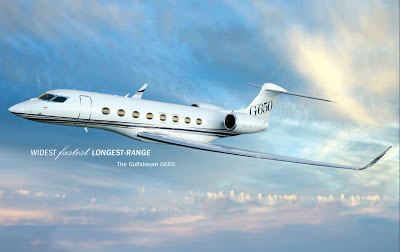 Since I'll never have the $65 million to buy one. 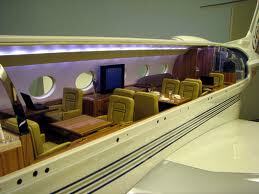 This plane, according to the CNN article below, also has a separate crew galley, restroom and rest quarters. Now that is civilized living for the help, no? No Marie Antoinette's here. 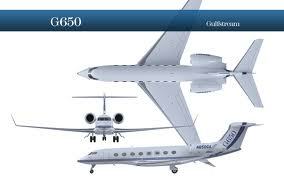 I did a previous blog on this jet as well as other business/corporate jets. 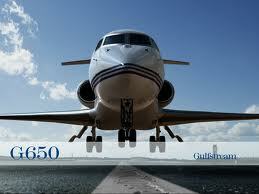 Click Here: Previous blog entry on the G650 and other private jets. At the beginning of the article are a series of photos not to be missed showing private jets of some of the richer celebrities/individuals own (I guess routine millionaires can't really afford to operate a plane like this....they have to charter! Do they feel like they are flying coach like the rest of us???) Beyonce bought Jay-Z one as a father's day gift. Ha!